Millions of us will tune in to watch as one man’s heart is broken and another wins the prize. The season finale of The Bachelorette is almost here. We find ourselves in emotionally charged conversations, pitting the merits of Californian outdoorsman, Garrett, against the athlete from Colorado, Blake, over our second cup of coffee. 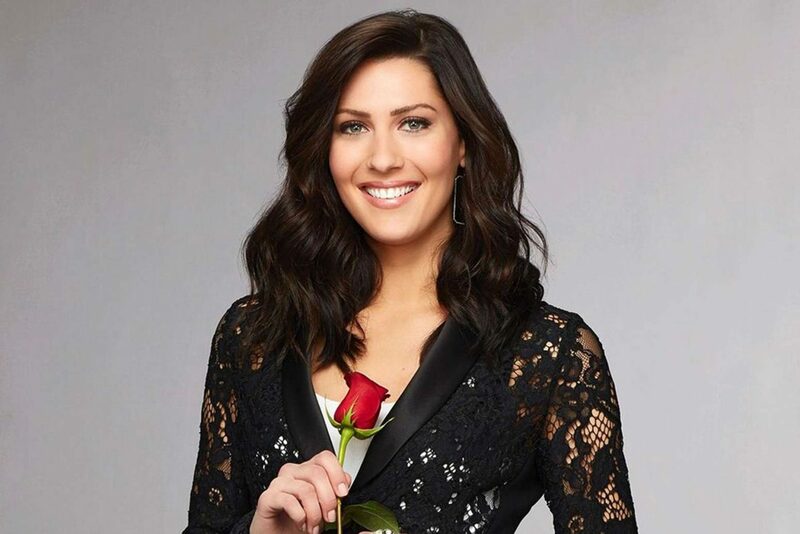 Bets placed in office pools and online forums lay odds on who will be the recipient of the final rose. When I think about it, I do get somewhat uncomfortable. Do I want to see a grown man crumble on prime time TV? Maybe not, but tune in I will. As I have watched this season, I have realized that there are real-life lessons to be learned from both the drama as well as the emotions unpacked each week. Even though I am quite sure the producers manipulate some of the angst and intentionally pit the contestants against one another, I do believe there are things to be gleaned from the human drama we tune in for each week. So, before the last week and pinning of the final rose, I want to share what this program has reminded me. 1. Make sure ulterior agendas do not drive the man you are allowing into your life. Take Jordan; you don’t have to be astute in human nature to realize that man was there for camera time. The only relationship he wanted to build was with the audience and securing the future of his modeling career. Any man you may be considering can’t be looking for a maid, a pretty plus one, or an assistant to pay his bills. Before getting too thick into any relationship, you need to know he is seeking to share his life with someone. 2. It’s vital to experience life together. Now granted the days they experience are a bit unrealistic. Who wouldn’t fall in love with any one of their destinations, staying at great hotels, eating first class food? But time in the real-world means knowing the one you are falling in love with is willing to clean the bathroom and bring you ginger ale when you have the stomach flu. They show up when they say, and don’t explode when the car breaks down. The only way to know what they say they will do is by what they do, and observing it over time. 3. You’re looking for a man of principal. Take Colton, yes, the man who is a virgin. I don’t even feel the need to discuss the virginity issue further because they certainly did enough of that on the show. But what should be gained from those conversations is that a man of principal is a rare and valuable creature. Whether you fully understand the reason for any firm conviction held, I would say that you would be wise to value and respect him for having it. If a man is secure in his principals, he will be steadfast in his commitment. Even though I am quite sure the producers manipulate some of the angst and intentionally pit the contestants against one another, I do believe there are things to be gleaned from the human drama on the Bachelorette we tune in for each week. 4. Knowing, not just meeting, family and friends is essential, thus the hometown week. You will discover so much about a man you are interested in when you spend time with his family and friends. Knowing where he came from, how he grew up, and the family dynamics that are purely his will tell you so much about him. If there were family challenges, has he surmounted them? If there are strong ties, are they strong enough to undergird, but loose enough to encourage a new family with you? The friends he surrounds himself with tell you so much about his nature. Are they sarcastic? Partiers? Is the boys club his priority? You will learn much about a man by his friends. 5. Time together creates ties. If nothing completely derails the relationship, then you are building a connection. The time you spend together creates expectations and patterns in your life, often to the exclusion of others. There are also emotional ties. Watching the previews of the final episode, you realize someone is going to be hurt. And not just one of the men; she will feel it as well. If you’re going to spend time investing in a relationship, your heart will be exposed and your reliance on another will become strong. Not all love interests work out and when they don’t, hearts will be broken. I do not mean that we avoid all potential suitors; I’m merely saying that before you take the time to create those emotional ties makes sure they are worthy of it. As we sit in front of the TVwatching the final rose presentation, let’s remember what it takes to build a relationship in real life. Not the plane hopping, country visiting, multiple suitors following your every move version. One that holds each other’s heart in their hand, facing the daily struggles united in purpose, committed to be the best, and bring the best into a relationship that will live way past this season finale. You’ll love this recent podcast episode from This Grit and Grace Life, Miss Independent: Can You Be Healthy, Strong and Dependent? – 047. You’ll also like 3 Lessons on Love from Peter and the Bachelorette, The Bachelorette: a Romantic Culture in a Feminist World, 4 Things You Need to Know About Pre-Wedding Jitters, What to Do When He Didn’t Propose (But Should Have), 10 Things You Need to Know Before You Try Online Dating, To All of the Times We Almost Didn’t Make It, and 4 Truths About Being Friends With Benefits.